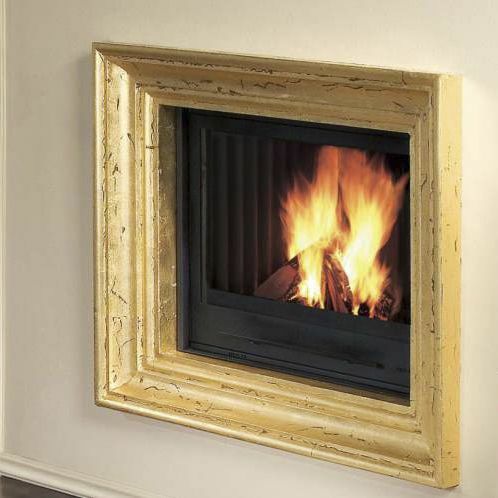 The Termojolly Idro wood fireplace inserts are wood burning systems designed to heat water. 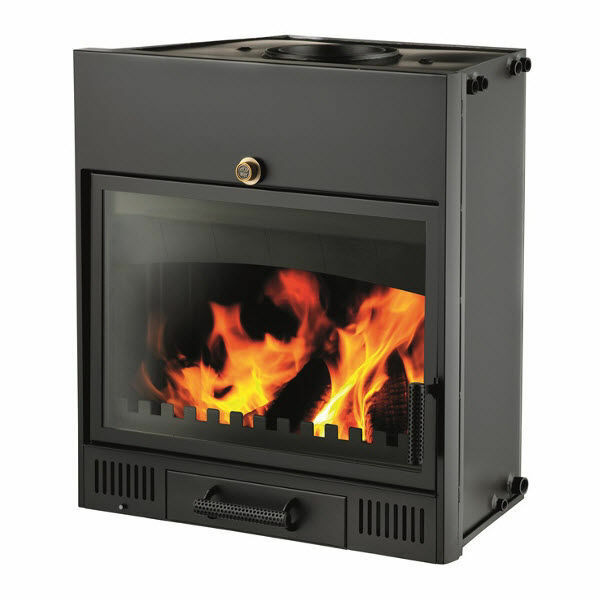 The cooling exchanger fitted on the Termojolly Idro wood fireplace inserts provides for a closed tank connection and ensures the system functions even in an electrical black-out. The Termojolly Idro wood fireplace insert is suitable for autonomous heating of medium-large sized homes. The cooling exchanger guarantees safety by regulating the water temperature and ensuring system functions even in an electrical black-out. The electronic control unit manages the room temperature and the temperature of the storage tank, if installed; in addition, it can also manage a water heater, domestic storage tank or thermal cell and heat pump simultaneously. The Termojolly Idro wood insert comes complete with a closed tank hydraulic kit, with or without production of domestic hot water. The hydraulic kit can also be supplied within a compact Pocket Kit box, so it can be positioned outside the fireplace compartment. The CaldoControl device, automatically regulates combustion according to heat demands, ensuring longer load autonomy.